When it comes to spreading the world about your training institute, there are various ways to go for. There are posters, flyers, brochures, rack card, posters and so on. If you need help on the ideas for such promotional mediums, there are training institute templates to go for with a standard pre-made structure. These templates come up with editable text and images which can be modified with your own data. You will also have templates for the social media cover of your organization’s social media profiles. 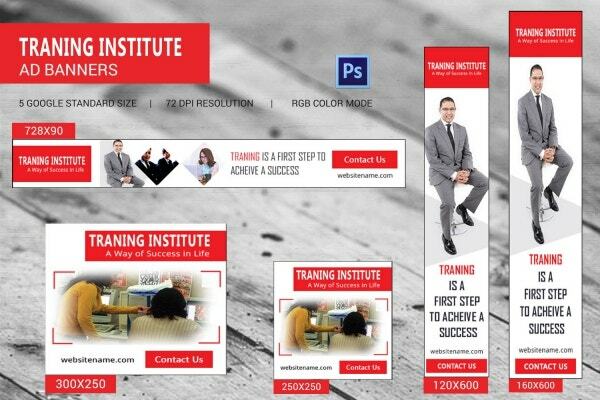 You can also see Training Institute Templates. 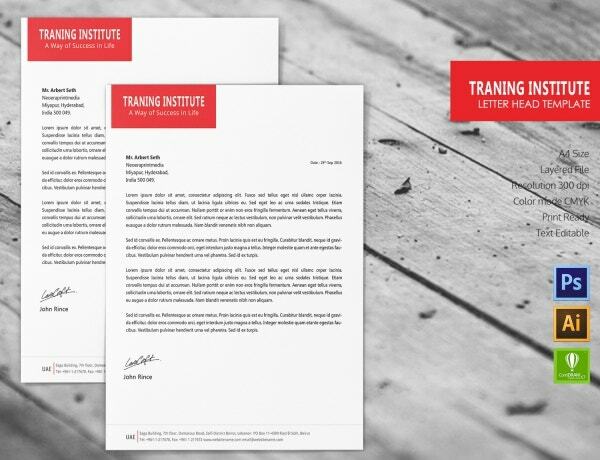 You are getting a smart A4 letterhead template for your training institute which opens up with the name of your organization and slogan at the top-left. Below, you have a sizeable space to document your letters, declarations or other text details. The text part is completely editable. The contact details can be added to the footer. 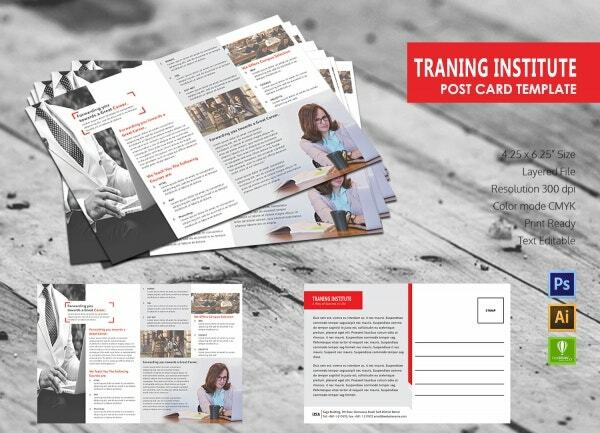 If you are looking to promote your training organization in a postcard format, this postcard template here would be a great thing for you. You can detail about the unique features or your organization at the front side of the template with both text and multiple pictures. The backside also offers good space for further promotional details and contact number. 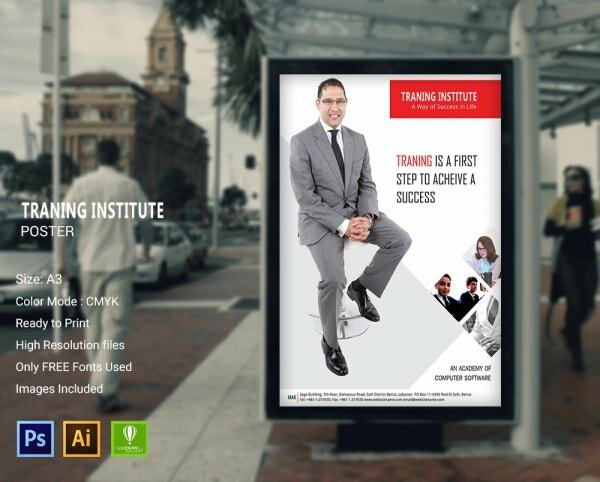 You have a professional A3 poster template for your training institute which does most of the talking with pictures of your trainers and team in various sizes. The images are editable. The template will further enable you to add the name and slogan of your organization as well as your business pitch. 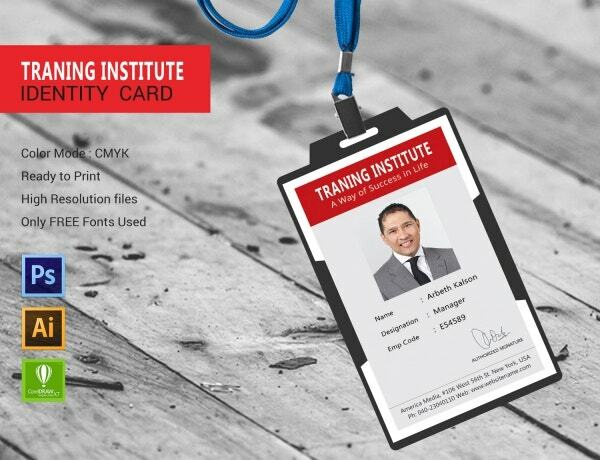 If you are looking for neat rack card for your training institute, this rack card template here would be great for you. It enables you to include brief about your course in easily readable bullet format. The upper part of the rack card can include smart images of your pro trainers. The contact details can be included as well. If you are looking for a functional social media cover page for the social media profile of your training institute, these 3 social media cover templates would be great for you. Meant for popular social media platforms like Facebook, Twitter, and YouTube, these templates would enable you to spread the word about your courses on the social cover only. 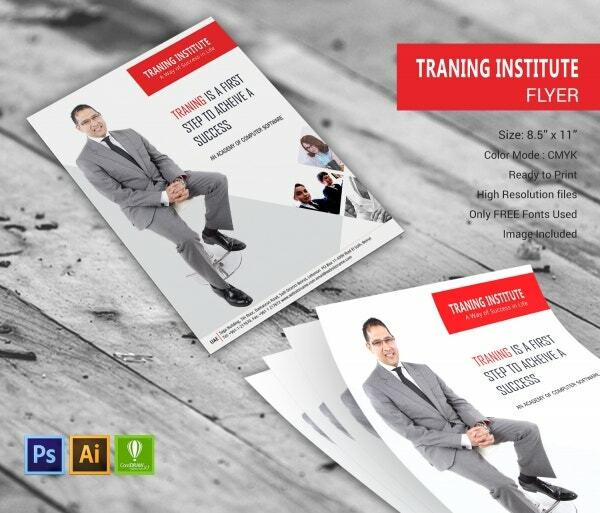 If you are looking to promote your training institute through brochures, you have a clean and smart tri-fold brochure template here in A3. 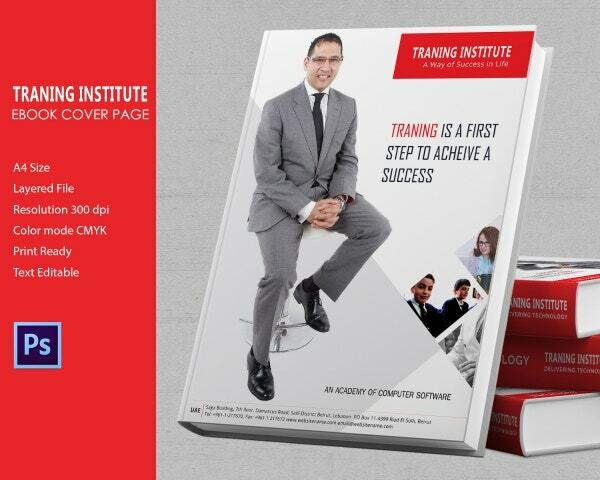 The brochure would enable you to mention details about your institute, courses, teams, the organization environment etc. through editable pictures and text. It’s a print-ready, well-layered file. The template bundle here includes five Google standard ad banner templates in varying sizes, ranging from 160×600 to 728×90. All the templates will enable you to include both the name and tagline of your organization as well as a CTA “Contact Us” button, accompanied by the website URL. The images and text are editable. 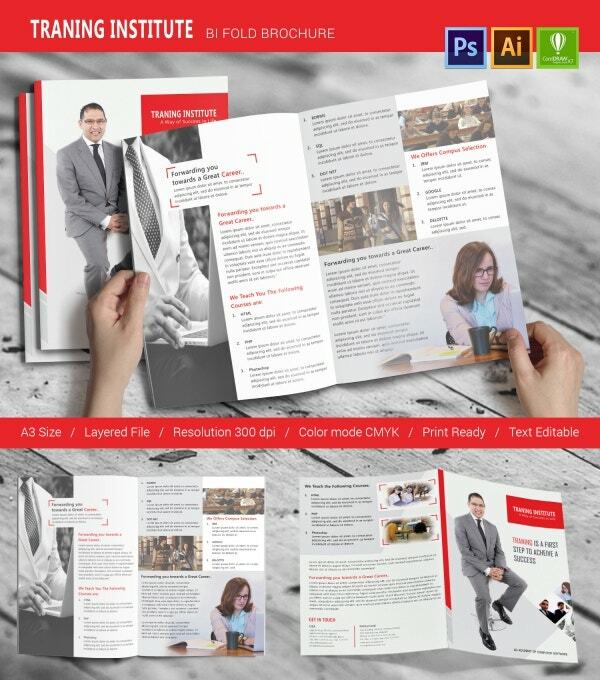 If you are in quest of smart, professional bi-fold brochure for your training institute, this A3 bi-fold brochure template would be the thing for you. It offers you a sizeable space to brief about your courses, your campus selection policy and other great things about your organization. The contact data can be put in detail at the back. 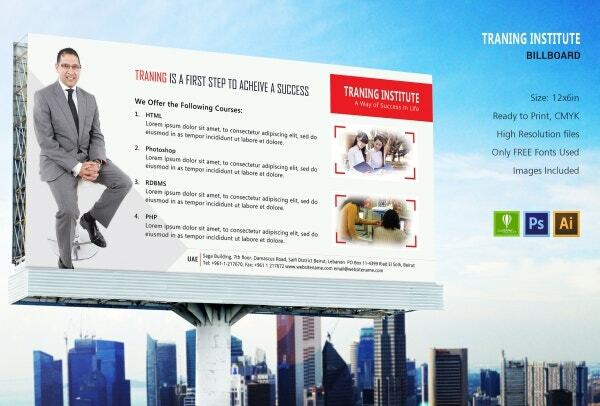 You have a neat, clean, and functional billboard template where there is enough space to mention about all your courses with brief details of each. The left part would have a smart image of your best trainer and you can put relevant images about your campus at the right. The contact details would be included below. 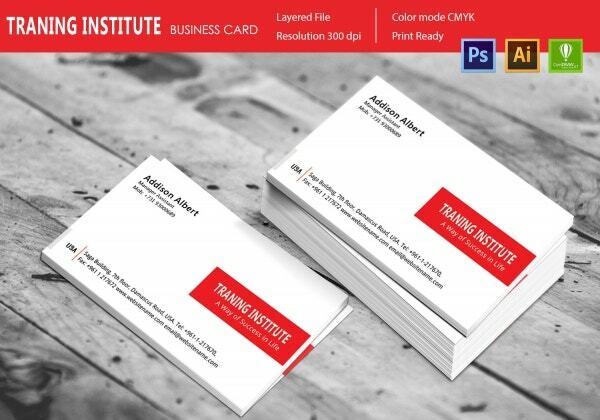 A business card is a must for each of your trainers and here you have a clean and elegant business card in white with a red accent for the name and slogan of your organization. At top left, you can include the name and designation of your employee along with the phone number and the contact data of your organization would be mentioned below. 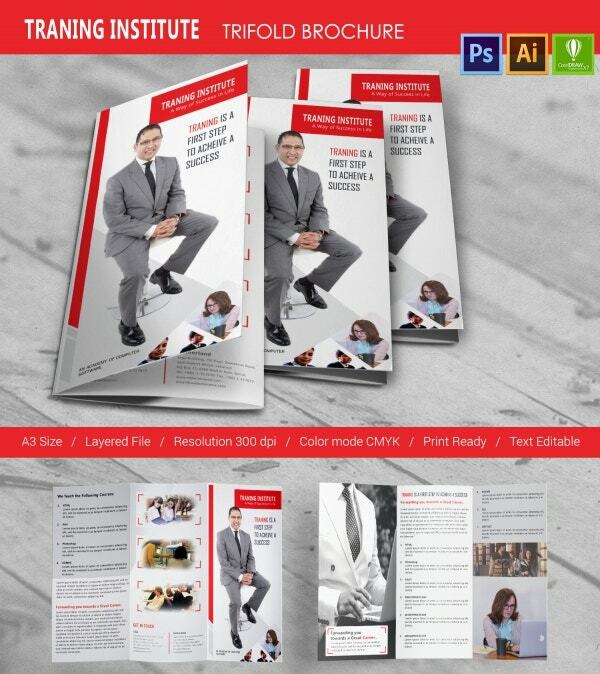 If you are soon to come up with an ebook on behalf of your training organization and looking for a refined ebook cover page idea, this ebook cover page template would be the right thing for you. It starts with the name and slogan of your organization at the top-right followed by images of your trainers, your business pitch and below you will add the contact details. You have a professional-looking envelope template here in 9.75×4.3-inch dimension. This is a high-resolution file and the pristine presence offers a neat aura overall. 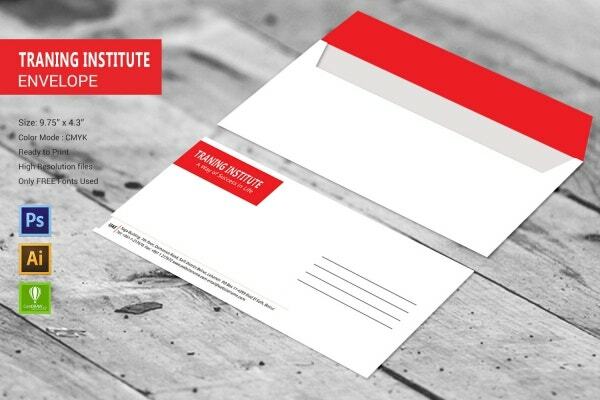 The red accent for the name and slogan of your training organization stands out and you have adequate space for the contact details of your institution. You have an elegant flyer template here carrying a dimension of 8.5×11-inch. This is a high-resolution file with free fonts as well as customizable text and photos. 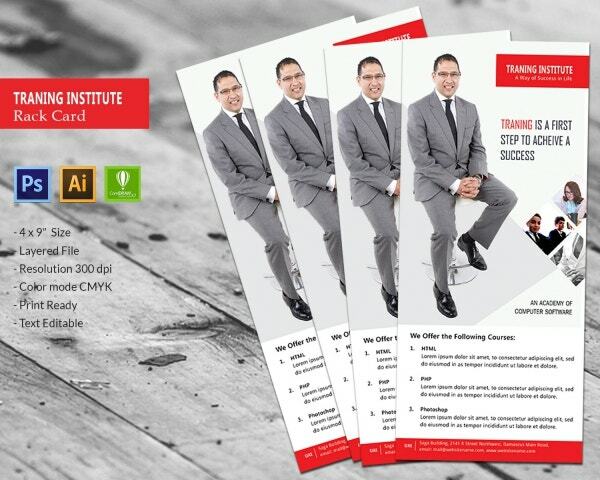 It assures an attractive flyer with bright and smart images, complemented by the name and slogan of your organization as well as the business pitch. You have a brief space below for the contact details. If you are looking to make ID card for your employees, this ID card template would be amazing for you. 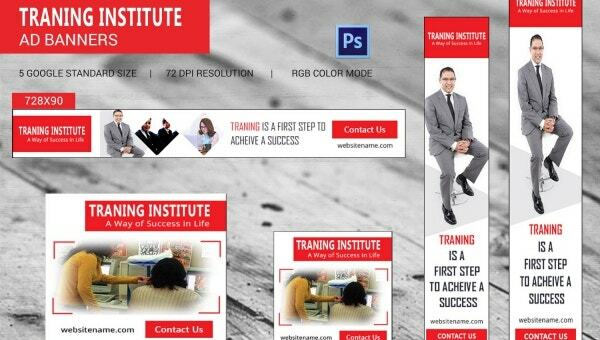 It starts with the name and slogan of your training institute on a bright red backdrop. Following it, you have the picture of your employee and below it, the template includes all the standard details of an ID card- such as the name, designation and the employee code. Then, you have space for authorized signature and the contact details of your organization. 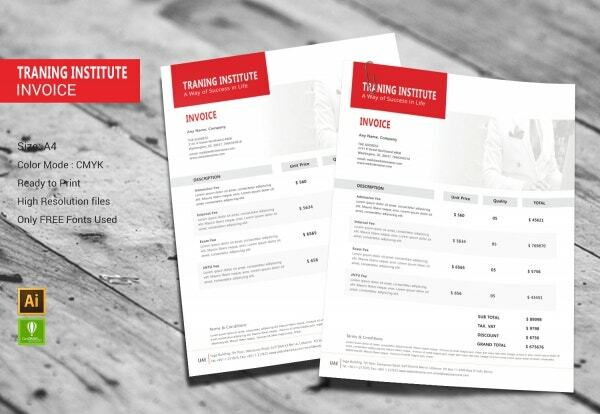 You have a smart invoice template for your training organization here which you would be giving to your trainee-clients. It includes all the needed basic categories of an invoice such as the description, unit price, quantity and the total. Below, you will have space for terms & conditions. You can use a watermark at the top.